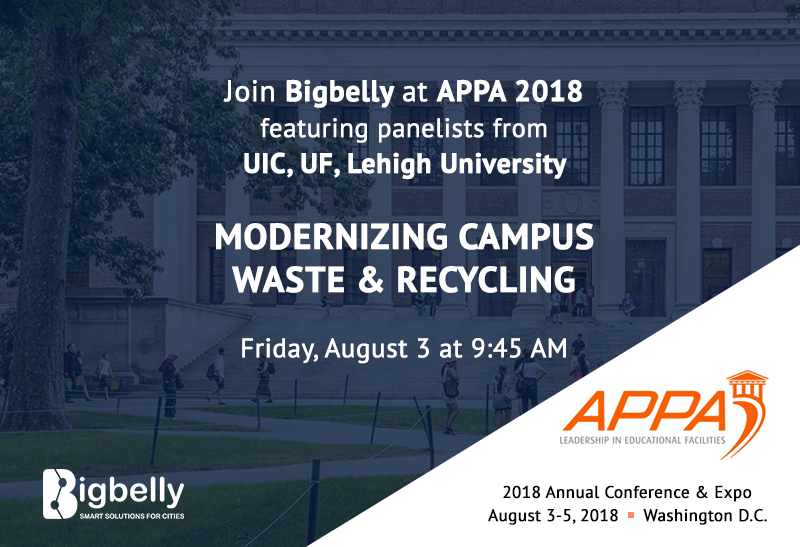 Join Bigbelly and educational facilities leaders at APPA 2018 Annual Conference and Exhibition in Washington, D.C. from August 3-5, 2018. APPA's annual conference is the platform for discussion, information share, networking, and much more! Join us and educational colleagues for this distinctive international event to discover best practices used by the profession's most recognized and talented educational facilities leaders. Attendees convene to identify and discuss the most current and pressing challenges facing educational facilities, and determine the common path forward. 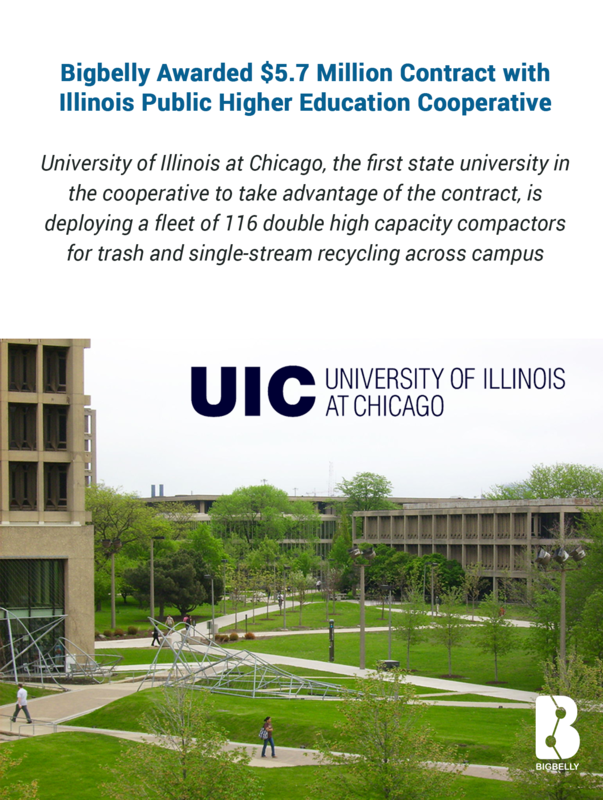 We are excited to be moderating a panel discussion among higher education facilities leaders on the role that smart waste solutions play in transforming campus waste and recycling services. In most communities, demonstrated commitment to sustainability is not limited to a singular Earth Day but rather is engrained in the fiber of the city, county, or campus - consider it Earth Day Every Day. There are programs, ordinances, and missions designed to reduce, reuse, and recycle; to efficiently capture and collect trash; all while diverting as much waste as possible from landfills as a pledge to improve the lives of constituents and the environment for generations to come. We celebrate Earth Day Every Day by recognizing our customers who are making a difference in sustainability and environmental protection through their use of Bigbelly's smart waste management solution. 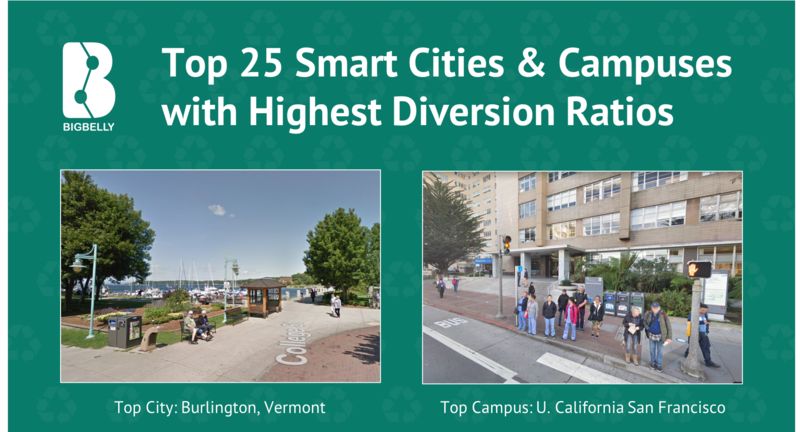 We are excited to announce the Top 25 Highest Recycling & Compost Diversion Ratios from Smart Campus Deployments. Congratulations to each and every one of these colleges and universities for their commitment to recycling and sustainability. 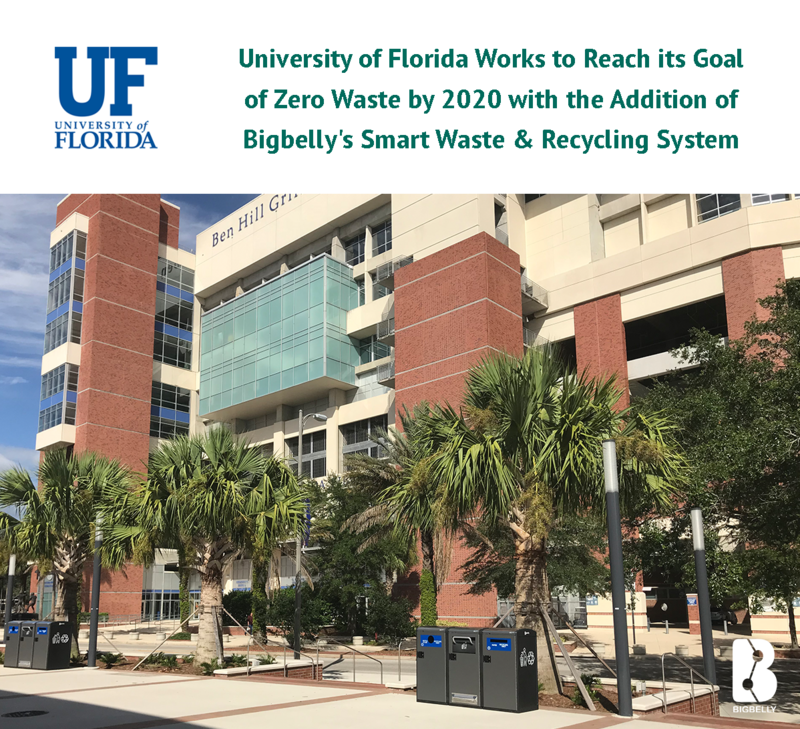 We could not be more proud to be a part of these universities' success in achieving goals related to recycling diversion to create a more sustainable campus today and tomorrow. Bigbelly is excited to be a sponsor the 2018 ILAPPA Annual Conference hosted at the University of Chicago. The Illinois Chapter of APPA (ILAPPA) brings together the area's Leaders in Educational Facilities. This annual event welcomes leaders from across the state who focus on innovations, best practices, and how to improve operations for their respective facilities and institutions. 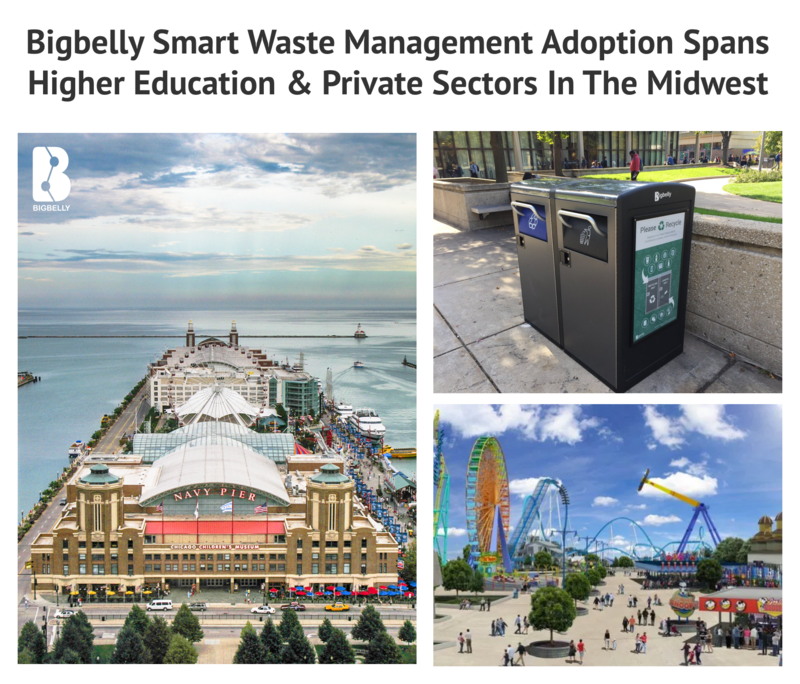 Visit Bigbelly's table on Friday, March 23 to learn about how our smart waste & recycling system is making a meaningful impact at colleges and universities both across the nation and right in Chicago, and how it can benefit your campus and community. Needham, Mass. / January 8, 2018 – Bigbelly, the world leading Smart City Solutions Provider specializing in smart waste and recycling, today announced significant company growth in 2017. Deployed across all 50 states, the Canadian provinces, and over 50 countries, Bigbelly continues to modernize and transform waste management - demonstrated by customers embracing 13,709,539 compactions, 2,456,062 collections, and 18,304,538 IoT connections last year. 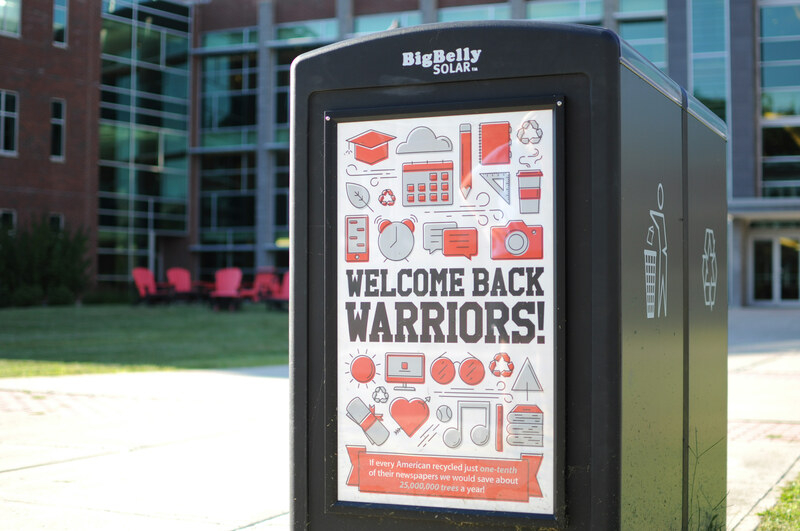 The East Stroudsburg University campus has captured, contained, and collected 13,680 gallons of waste in their Bigbelly smart waste and recycling system over the past 12 months.